Temple of Luxor is a unique slot with its layout of two 4x5 grids with a combined 100 pay lines! On the one panel, you can win from the left to the right, and vice versa on the other. The presence of big, stacked symbols leads to a serious potential of winning big sums of money! Enter the ruins of Temple of Luxor and find the biggest treasures. 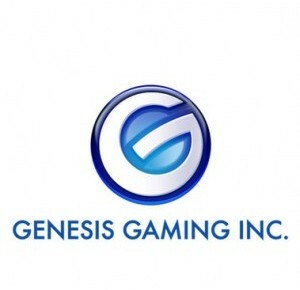 This slot by Genesis Gaming is an extraordinary one, as it has two playing areas. The left and the right panel both have the same number of reels. With this special layout, Temple of Luxor manages to be an exciting, unique slot. Temple of Luxor is a unique slot with its layout of two 4×5 grids with a total of 100 pay lines! On the one panel, you can win from the left to the right, and vice versa on the other. The presence of big, stacked symbols leads to a serious potential of winning big sums of money! Temple of Luxor distinguishes itself completely with its bonus game. You will activate this when two scatters land on both grids. With a big flash, the obelisk in between the two panels turns into a huge wild symbol! This means that the two sides are now combined, amounting to eleven reels, with 50 pay lines, which pay out in both ways. Additionally, the middle wild replicates itself no less than three wilds, creating a total of four wild reels during bonus spins. These free spins could again trigger even more chances to win!